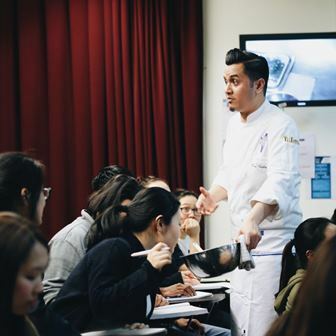 Celebrity Malaysia Alumni Dato' Fazley Yaakob conducted a cooking demonstration at Le Cordon Bleu Sydney. Celebrity Alumni from Malaysia Dato' Fazley Yaakob have been invited as a VIP speaker in Sydney in conjunction with Malaysia Day celebrations organised by Overseas Malaysian Students in New South Wales. 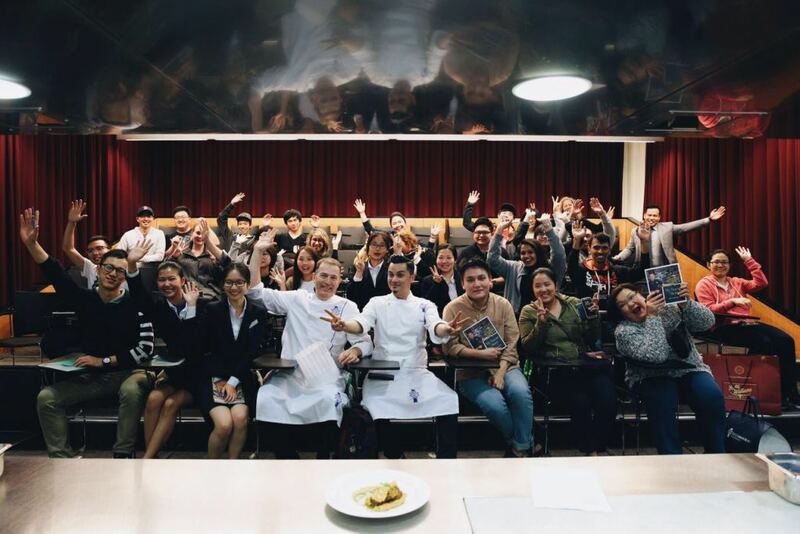 We could not forgo this opportunity and thus had arranged for him to conduct a cooking demonstration for our students in Le Cordon Bleu Sydney which took place on Monday 5 September. 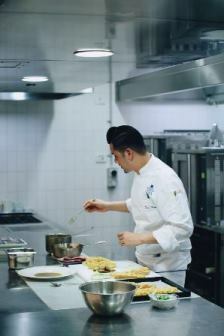 He presented "Toasted Eclairs Daging Salai Lemak Cili Api" (Smoke Beef with Spicy Turmeric Cream on Toasted Eclairs). recipe showcasing a combination of French cooking techniques in a Malaysian recipe which is popular in his birth state Seremban. The 40 to 50 students who was at the cooking demonstration had the opportunity to purchase a copy of the Book authored by Dato Fazley which had won a coveted award at this years World Gourmand Cookbook awards. 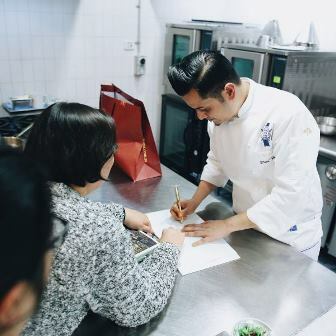 A tour is being organised for more cooking demonstrations in Australia, London and Paris later this year by Dato' Fazley to showcase Malaysian Recipes with a French twist.